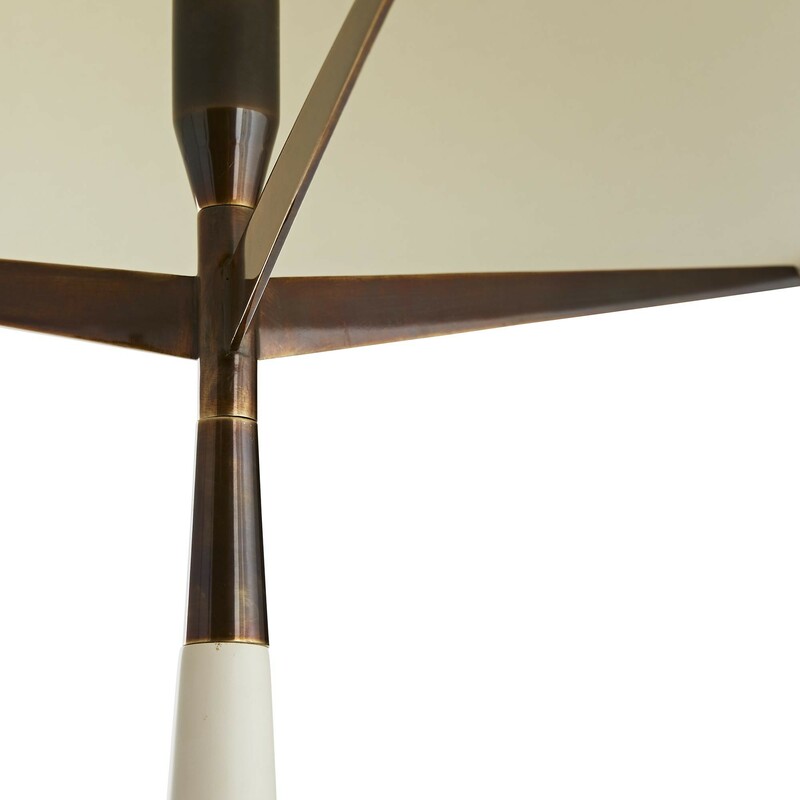 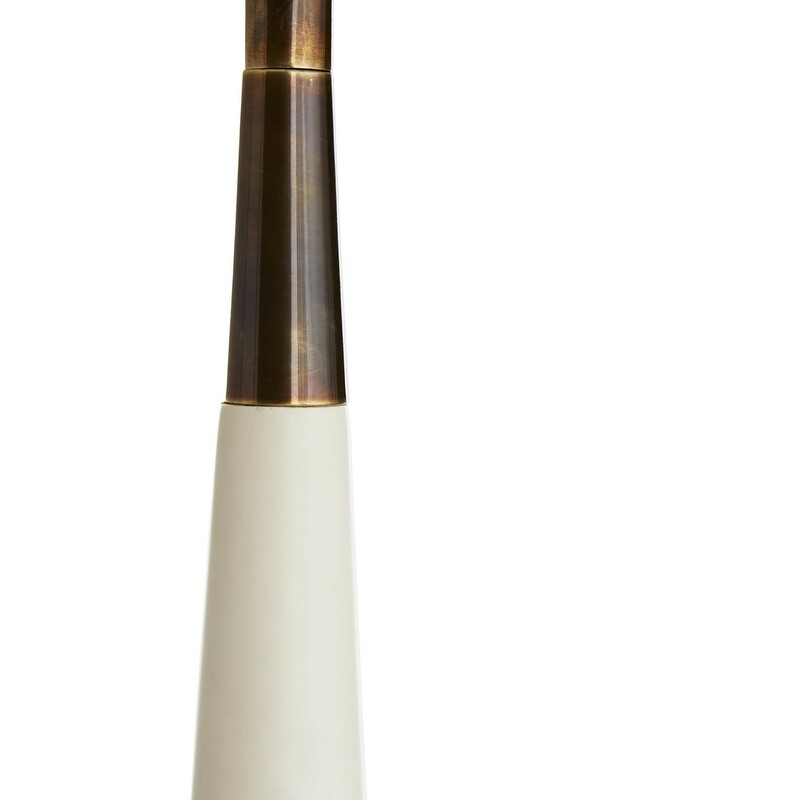 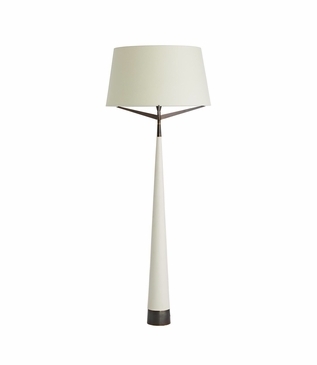 Modern and angular, this floor lamp features wide, spider-like arms that support a white tapered shade. 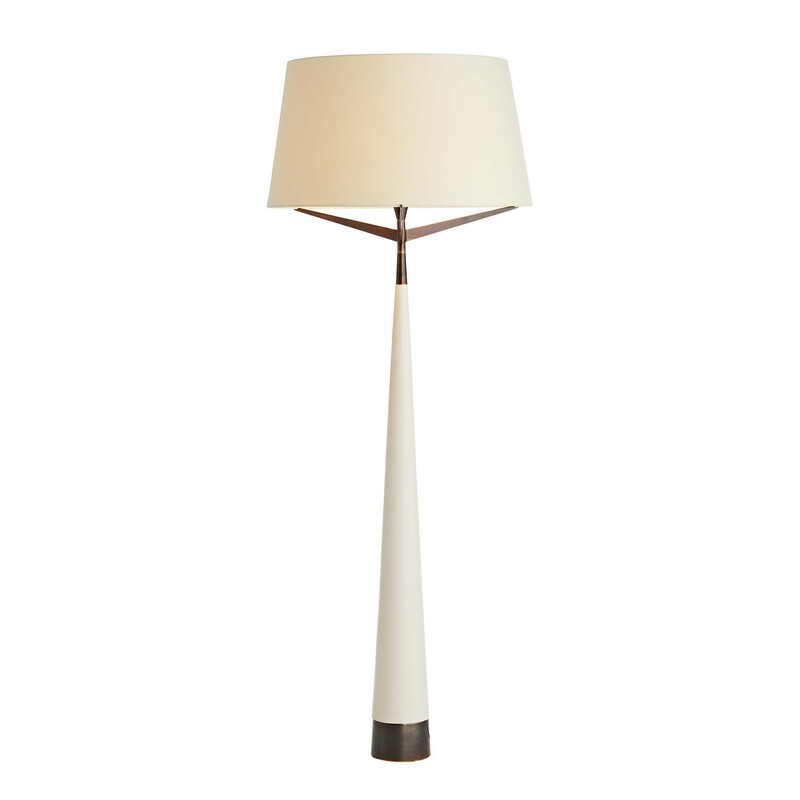 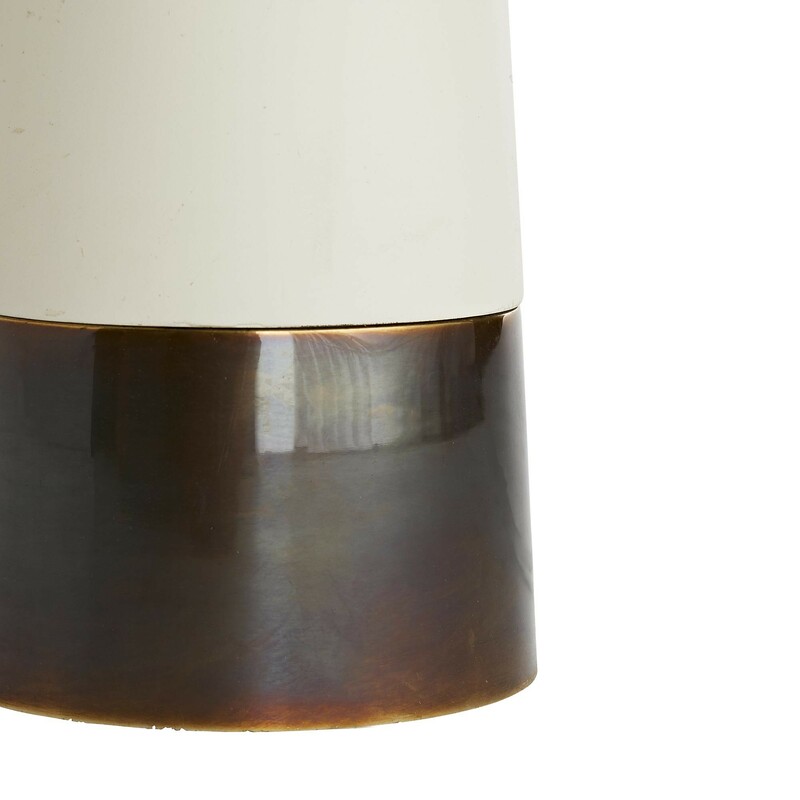 The base is constructed of sturdy steel that is finished in ivory lacquer with aged brass accents. 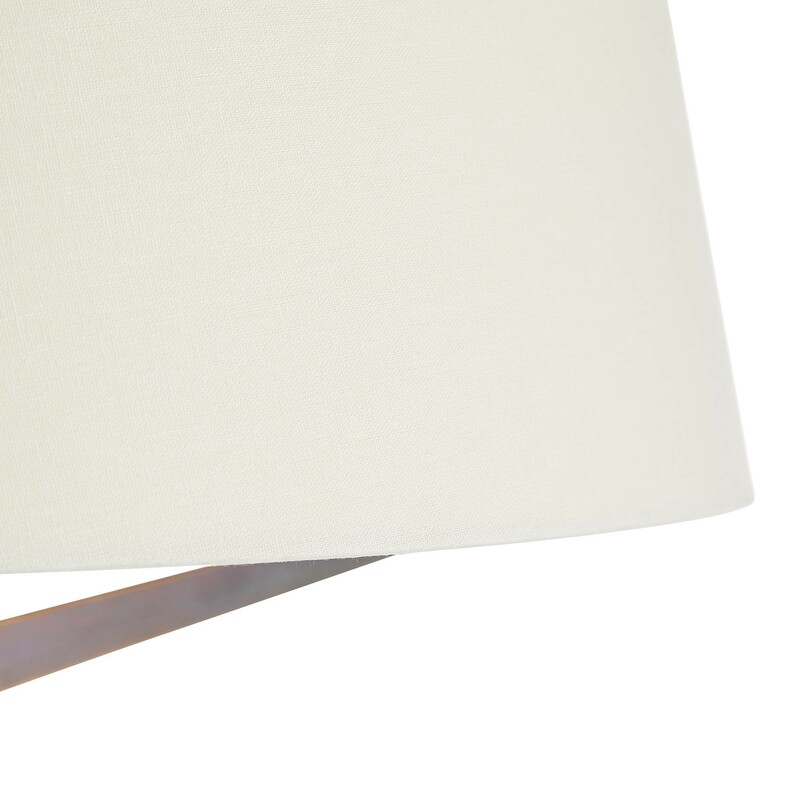 1-150W maximum, Type A-E26 bulb (not included), in-line foot switch with a full range dimmer.